With Jetstar (ex Auckland) and Air Asia X (ex Christchurch) soon to commence New Zealand services to Kuala Lumpur in the next few months, there is no doubt that Malaysia’s bustling capital city will enjoy a surge of Kiwi visitors. An unsung hero when it comes to stopover experiences, Kuala Lumpur is a great value destination for travellers looking to extend their stay. Last year, Malaysia was listed as one of the best value destinations in the world by Lonely Planet and in 2009 Malaysia ranked as the 4th most price competitive country in the world according to the World Economic Forum’s Travel and Tourism Competitive Index. 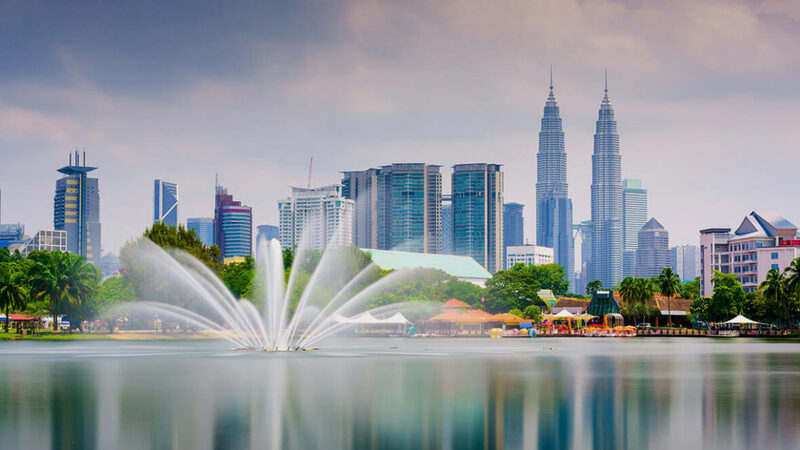 Without breaking the bank, you can stay in luxurious accommodation (Kuala Lumpur has plenty), shop and spa to your heart’s content, gorge yourself on delicious Malaysian cuisine and discover the sites of the city. Even the transport from the airport is deluxe, convenient and unbelievably well-priced. For around $17.00 you can take the 28 minute non-stop ride to KL’s Sentral Station on the KLIA Ekspres, Malaysia’s clean and efficient high speed train. For some extra indulgence try the KLIA Ekspres VIP service and take a limousine from Sentral Station to your accommodation. Indulging is easy to do in Kuala Lumpur with an ever-increasing inventory of luxurious hotels. From established five star properties like the Ritz Carlton and Shangri-La to new boutique developments like Hotel Maya, Piccolo Hotel or the recently refurbished Carcosa Seri Negara with all its ‘old school’ colonial charm. In the centre of KL, somewhere like the new Hilton Double Tree is perfect if you want to be right in the thick of it or if being out of town is more your style, the new Golden Palm Tree in Sepang offers over the water bungalows just 40 minutes from the centre of Kuala Lumpur. If you can draw yourself away from your plush hotel, there are plenty of things to make the stopover unforgettable. Get a bird’s eye view of the city from the Petronas Twin Towers, take a walk around the beautiful Lake Gardens, visit Buddhist temples in China Town, spend a morning at the famous Batu Caves or wander around the bustling markets and streets of China Town, Malay Kampung Baru and Little India. Along the way, it is irresistible to spend some time taking part in Malaysian’s favourite pastimes; shopping and eating. Heading out for a Gucci, Armani, Jimmy Choo, Zara or Top Shop fix is a must. Mix in a couple of great meals sampling Malaysia’s multi cultural cuisine including Malaysian hawker food, Chinese dumplings and Indian curries and then refresh before your onward journey with some divine spa treatments. Air Asia X has flights to Kuala Lumpur ex Christchurch starting from $379 one way if you book between 8 – 21 February 2011 (travel period between 4 May – 31 July 2011). From Kuala Lumpur, you can explore more of magical Malaysia by taking advantage of some of Air Asia X’s one way domestic fares (ex Kuala Lumpur) including Penang – $7, Kuching – $14, Johor Bahru – $7, Kota Kinabalu – $14, Kota Bahru – $14.